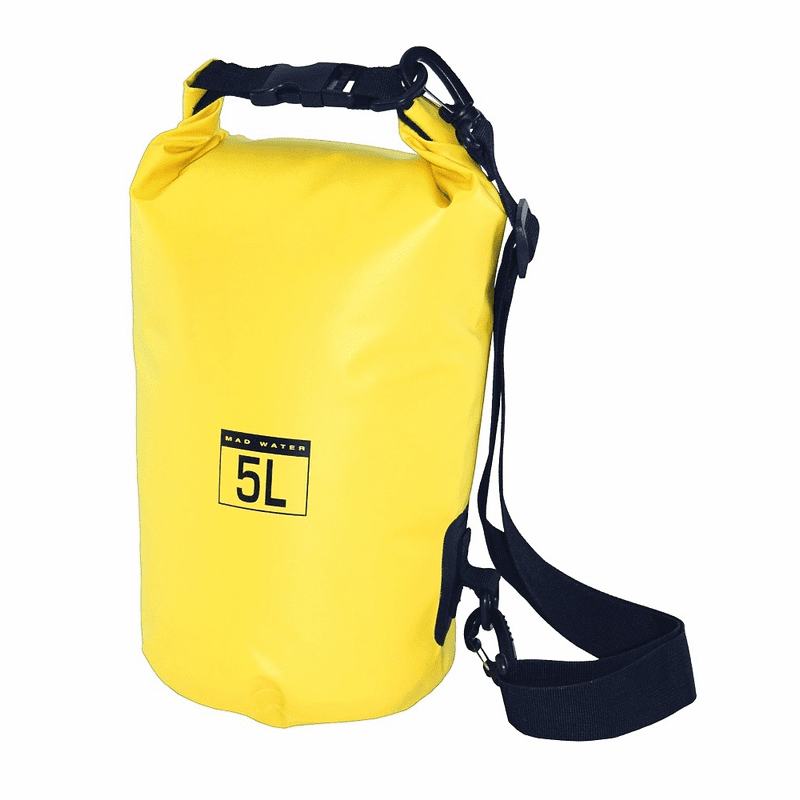 Each of our waterproof Classic Roll-Top Dry Bags is manufactured of premium malleable PVC, and features an adjustable and removable shoulder strap. To seal the waterproof dry bag, simply fold/roll down the the top at least 3 times, and buckle the ends together. The buckled ends also work as a carry handle.